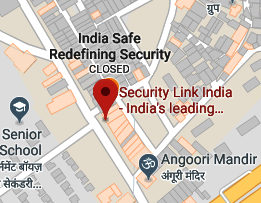 ‘Gulshan Rai, India’s Cyber Security Chief avoids netbanking because he understands the issues there’ – the news publicized in media in the mid of March is conspicuous and worth noticing. “I have a separate account that keeps small amounts in the bank. If I have to do that in a debit card, I put Rs. 25,000 in that account and do transaction so that I don’t go to the National Consumer Disputes Redressal Commission,” he made a point. His statement may attract criticism for many reasons, but his candid proclamation has an instruction for the people in practice of online transactions to be aware of the risks and be extra cautious while online. Home Minister Rajnath Singh has recently also impressed upon the severity of the menace of cyber crime and risks involved therewith. “Cyber-dependency has become widespread today. This has increased vulnerability to attack against both civilian and military infrastructure. Cyber crime has become an industry and many cyber crimes related tools and techniques are being offered as services. Even novice criminals with limited investments can afford to have such services at his disposal. I am afraid, cyber attack would occur very often. We have already witnessed an increase in the number and severity of such attacks,” he said in a conference of the International Association of Chiefs of Police. The government, on the other hand, is in consistent endeavour to rein in perpetrators and bring vulnerability to the minimum. Union minister for Electronics and IT, Ravi Shankar Prasad asked the National Informatics Center to take the lead in making India a low cost cyber security hub. Speaking at the second national meet on grassroot informatics he said that the NIC should not only innovate new products for betterment of their own states/ districts but also handhold the local citizens in becoming familiar with new technology. He said this would supplement government efforts in making citizens literate in technology and expedites process of making digital economy reach one trillion dollar mark in five years’ time. He added that NIC should be more pro-active and should support other countries in their endeavor to move towards digital based economy. NIC officers should get more exposure in the emerging technologies including Artificial Intelligence, Blockchain Technology, IoT, Data Analytics etc., that can be further innovated by NIC. NIC has recently introduced two new portals – ‘Centre of Excellence for Application Security’ (CoEAS), and ‘Secure, Scalable & Sugamya Website as a Service’(S3WaaS). This issue of SecurityLink India carries an informative article on ‘Safe Cities: Collaborative Monitoring,’ contributed by PWC and ASSOCHAM which enunciates the significance of collaborative monitoring for a safe city with the proactive involvement of the community. The other editorials of interest are ‘Convergence of Physical and Logical Access’, ‘Turning the Car into a Lifesaver’ etc.